One of the most historic places in Brooklyn, Brooklyn Heights is known for its low-rise architecture as well as its many brownstone row houses, all of which were built during the time of the Civil War. 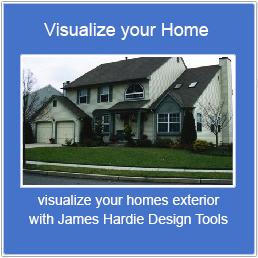 Therefore, if you live in this area and are looking to give their exterior siding a facelift, you should consider selecting from James Hardie products. There are several advantages of updating your exterior decor with James Hardie products. The first is that they come in many different styles and colors that will match the unique charm of Brooklyn Heights. Also, James Hardie engineers build their products to withstand fluctuations in climate and their ColorPlus Technology is designed to withstand UV rays and other harsh weather conditions such as hurricanes and blizzards, things that are not unfamiliar in Brooklyn. Other benefits of James Hardie siding include that it’s pest free and fire resistant! With over 20 years of experience, we have installed more James Hardie siding products than any other company on Long Island, and we are rapidly increasing the amount of installation in Kings County! Give Good Guys Contracting a call and we will schedule a meeting at your place of residence in Brooklyn Heights. Once we discuss the scope of your project, we will give you a FREE estimate to get you started on your home remodeling project!